HRC announced its endorsement of Todd Litton (D) in his bid to represent Texas’ 2nd Congressional District. As a sixth generation Texan who has served on numerous nonprofit boards and committees, Litton is a proven leader in the community. His leadership in the education and nonprofit fields has been recognized by national leadership and fellowship programs with the Children’s Defense Fund and the Aspen Institute, across the state with the Texas Lyceum, and locally with the American Leadership Forum and Center for Houston’s Future. 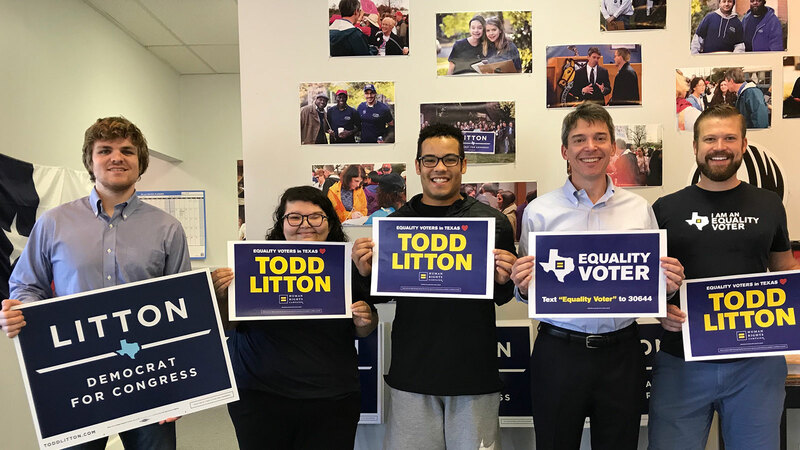 If elected to Congress, Litton has pledged to support comprehensive, nondiscrimination protections for LGBTQ people, including policies to continue allowing transgender people to serve freely in the military. Find out more about Litton’s support for LGBTQ equality here. 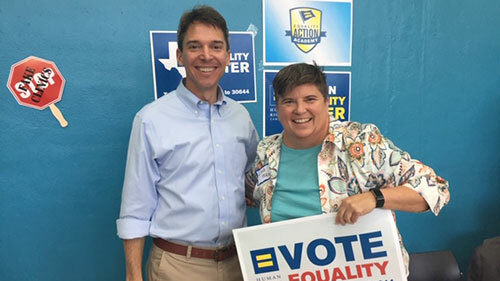 Across the state of Texas, HRC has identified more than 1.7 million “Equality Voters” — meaning they are strong supporters of progressive LGBTQ policies including marriage equality, equitable family law, and laws that prohibit discrimination on the basis of sexual orientation or gender identity. Last year, HRC announced a coast-to-coast campaign to mobilize these voters for the midterm elections called HRC Rising, which represents the largest grassroots expansion in the organization’s 38-year history.